WEBINAR SNAPSHOT: Join this expert-led webinar to understand how to effectively represent clients in DUI cases in Alabama, and how to handle issues like challenging field sobriety tests, defining physical control, and the Alabama interlock law. Alabama DUI law can be complicated. Your client may be charged with driving under the influence if police reasonably believe that there is probable cause that the person was found to be in actual physical control of a motor vehicle while there is .08% or greater of alcohol in his or her blood, or if he or she is under the influence of alcohol or a controlled substance. 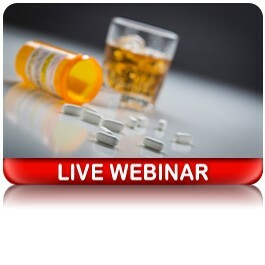 This expert-led webinar features an enlightening discussion on the state of DUI laws in Alabama and how to help clients through the process. Your presenter, an experienced Alabama attorney, will give you new insights into DUI defense best practices and update you on the latest cases of interest. Frank Ward, of Ward Law, LLC. in Huntsville, Alabama has focused heavily on Alabama DUI defense, driver license and expungement in his practice for the better part of a decade. His practice also encompasses estate planning and estate administration. He is a co-author of the Alabama DUI Handbook. Mr. Ward has served as president of the Huntsville Young Lawyers and on the board of the Huntsville Young Professionals. He is also admitted to practice in the United States District Courts for each of the three districts in Alabama. He became a member of the National College for DUI Defense in 2010.